"Tithing" / "Honor Among Thieves" / "The Benefactress" / "Thief of Time"
Gambit learns his wife is still alive, and attempts to bring her back to full health, disrupting the relationship between the Thieves and Assassins Guilds in the process. 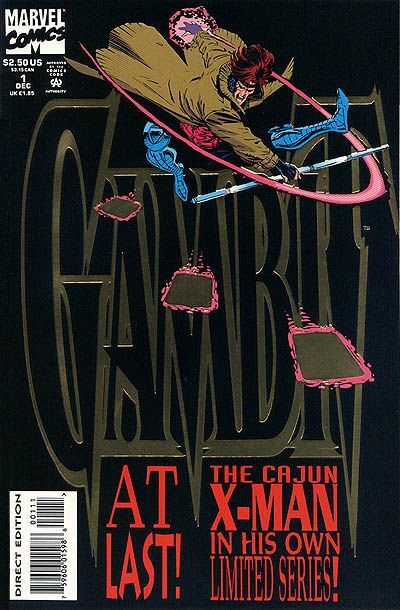 Issue #1: Gambit's brother Henri infiltrates the mansion in order to urge Gambit to return home for the titheing, telling him that Bella Donna's brother Julien is stirring up trouble between the guilds. Just then, Henri is killed by a group of Assassins led by Julien. Gambit tracks them down, and learns that Bella Donna is alive, prompting him to head down to New Orleans, as Rogue insists on accompanying him. A pretty straightforward month, as we cover one months' worth of issues, along with the X-Men's fancy new trading card set for 1994 and the next waves of action figures, featuring a look at Xavier's past, the start of a new X-romance, another Mr. Sinister appearance, and some concrete answers about Cable! 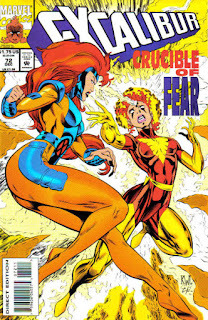 Shadowcat manages to phase Nightcrawler free of the rock into which he teleported, while Phoenix works to repair the electro-magnetic damage wrought by Siena Blaze's power. Elsewhere, Rory Campbell washes up on Muir Island's shore, his ship having been damaged by Blaze's blast. Inside, Blaze locates the disc containing Proteus' DNA information. 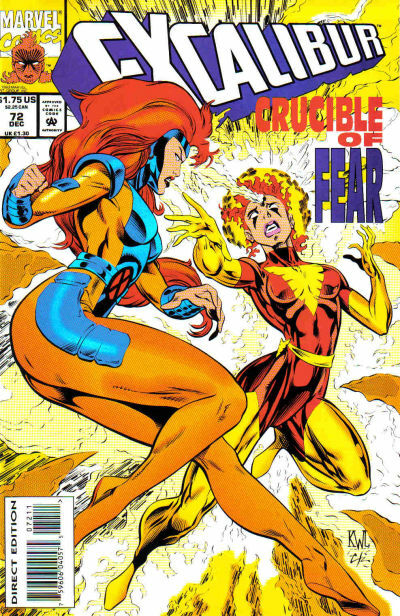 But Nightcrawler & Shadowcat manage to get the disc away from her while Phoenix confronts her directly, and is able to match Blaze's power enough to send Blaze teleporting away. 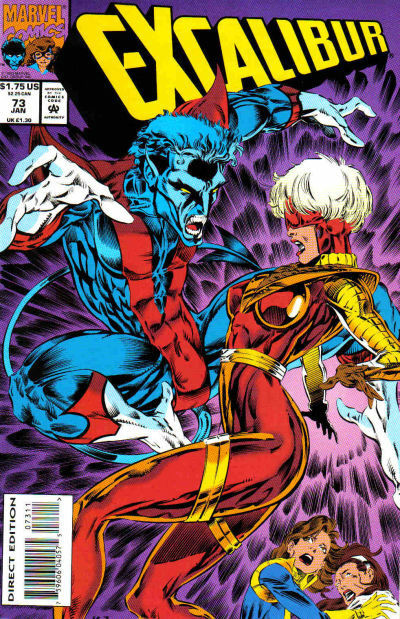 Phoenix then alerts her teammates to the presence of Rory Campbell, and Nightcrawler helps bring him to safety. Later, Shadowcat contacts Xavier to tell him about Blaze's attack, then puts in a call to Braddock Manor to check on Meggan, only to find her in a feral, beast-like state. Shatterstar & Adam-X fight one another inside Murderworld, with Arcade revealing that the innocent life he's using to motivate Adam-X is none other than Windsong, Shatterstar's wife. Meanwhile, Tempo departs from Camp Verde, after which Domino arrives. Elsewhere, Siryn asks Warpath to accompany her home to Ireland, while in Ireland, Black Tom & Juggernaut return to Cassidy Keep. 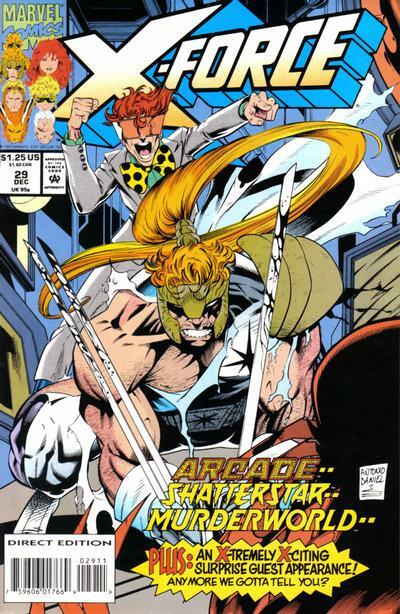 Inside Murderworld, Shatterstar reveals that Windsong is just a hologram, prompting Adam-X to team up with him to against Arcade. They reach the control room, where Arcade reveals the real Windsong, but Shatterstar recognizes her as a fake too, and proceeds to stab himself in the chest as a distraction that allows him to get close enough to Arcade to stab him, only to discover Arcade is a robot as well. Later, Adam-X departs to track down the person who hired Arcade to target him, while Shatterstar is picked up by Rictor, with Shatterstar calling his day uneventful. The X-Men deal with the presence of Sabretooth in their midst. Jubilee wakes up from a nightmare of being hunted by Sabretooth, prompting Jean Grey to call an emergency meeting between herself, Cyclops, Storm & Beast to discuss Professor Xavier's recent decision to bring Sabretooth into the mansion. 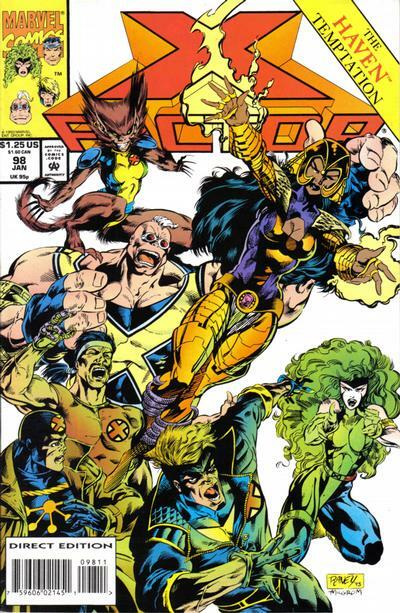 Meanwhile, Xavier runs some tests on the Legacy Virus-infected Revanche, then learns that Sabretooth is resisting psychic treatments from Psylocke, demanding instead that Jean perform them. Rogue & Gambit bring Sabretooth his dinner, and Sabretooth taunts Rogue with mysterious references to Gambit's past. 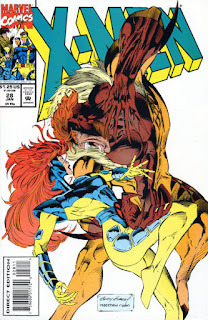 Later, Scott & Jean present their objections to Xavier, but he insists that Sabretooth will stay. Determined to confront him once and for all, Jean enters his cell, ostensibly to give him the psychic treatment he's demanding. But she refuses, telling him he needs to deal with what he's done and not run away from his issues, winning his respect. The next morning, a nervous Jubilee, needing to confront her own fears about Sabretooth, brings him his breakfast. An adamantium-less Wolverine fights Lady Deathstrike. 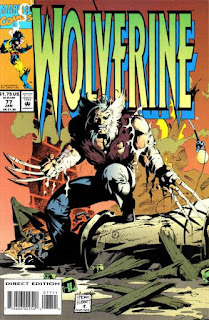 Lady Deathstrike attacks Wolverine, and their ensuing fight destroys most of Heather Hudson's home. 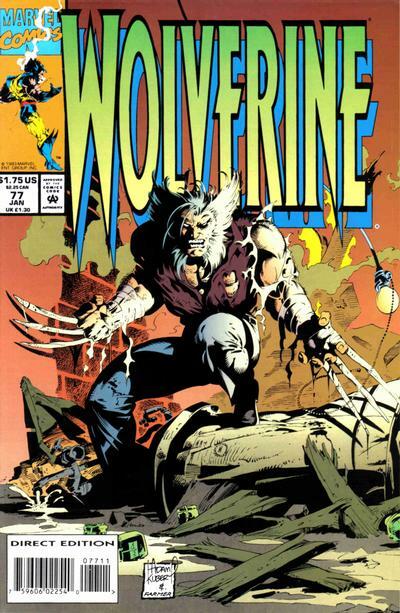 When Wolverine is forced to pop his bone claws and Lady Deathstrike realizes both that he lost his adamantium and that his healing factor is barely working, she breaks off her attack, saying that while she may have been cheated out of her revenge, she won't give up her honor by killing Wolverine while he's in that condition. As she and Ronald Paravenue leave, they are approached by Cylla & Bloodscream, looking for Wolverine. Lady Deathstrike tells them she no longer seeks his death, but won't stop them from tracking him down, and they continue to do so. Back at Heather's house, Wolverine says goodbye to her and Puck, then heads north to Buffalo Wood, not realizing that Cylla & Bloodscream are close behind him. Gene Kendall here, shamelessly appropriating a blog post to talk about my Kindle Worlds project. 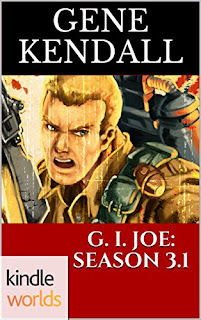 G. I. Joe: Season 3.1 is my attempt to continue the animated adventures of America’s highly trained special missions force, presented today in a digital file. 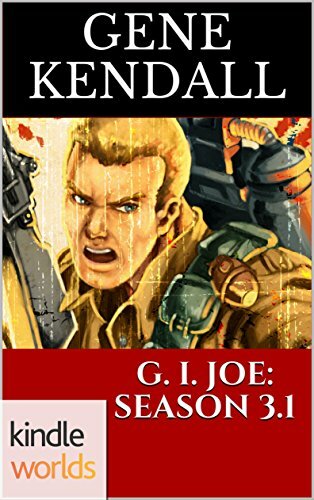 The origins of this story can be traced back over three decades ago to the aching sense of disappointment I experienced following G. I. Joe: The Movie. No, not dissatisfaction in the movie itself…disappointment that no new episodes of G. I. Joe followed! X-Factor learns more about Haven. Despite Havok & Forge's orders to arrest Haven, X-Factor is torn over whether to do so, with Polaris in particular vehemently defending her, until Haven simply teleports away. The team continues their debate back at their headquarters, where Havok & Forge share their government intel that Haven is responsible for a number of recent cataclysms, triggered in an attempt to jump-start her prophesied "New Humanity", including the recent Kennedy Center bombing X-Factor responded to. Polaris remains dubious however, citing that the intelligence came from the same government that recently tried to kill her. Later, Madrox tries to reabsorb all his errant duplicates, but is unable to reabsorb two of them. Meanwhile, Random approaches Strong Guy & Wolfsbane looking for X-Factor's help, telling them he was targeted by the same soldiers who attacked Polaris. And at her retreat in the California mountains, Haven initiates an eager Val Cooper into her organization. Cyclops & Jean Grey get engaged. On Thanksgiving, Scott & Jean walk the grounds, reflecting on their past together. 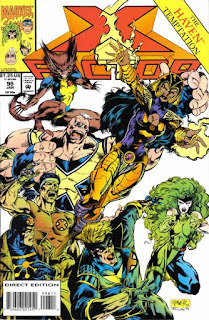 Meanwhile, Beast & Jubilee interrupt Forge, Banshee & Storm's leaf raking efforts, while Iceman, Gambit & Rogue attempt to build a scarecrow with Bishop, before deciding to start a football game. In Missouri, a man leaves his family and joins others aboard a bus labeled "Phalanx". Back at the X-Mansion, the football game concludes with Xavier getting tackled as he calls everyone in for dinner, while Scott & Jean's reminiscences conclude with Jean proposing to Scott. Later, as the X-Men gather for Thanksgiving dinner, Scott & Jean announce their engagement, and though Xavier has some reservations, he is grateful that, for a change, his children are happy. 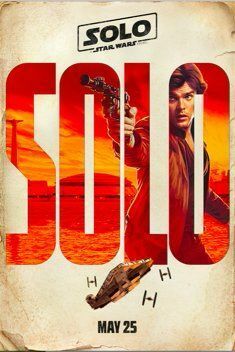 Of all the various films Disney has released and/or announced since its acquisition of Star Wars, the one that I've been the least excited about has been Solo. For the most part, this is because I've never been a terribly big Han Solo guy (unlike, apparently, all other Star Wars fans); I like him fine as part of a group of character (ie one of the original trinity) or as a mentor to Luke/Rey/Finn, a foil/romantic partner for Leia, etc. But he does little for me on his own/as the central character of a story (I haven't read the original Han Solo novels, which I understand to be excellent, but the best stuff of the AC Crispin Han Solo trilogy in the old Expanded Universe was the stuff surrounding Han, filling in historical events leading up to his momentous drink in the Mos Eisley cantina). I've also been ambivalent about this film because I really want to see Disney use one of this standalone movies to tell a story that doesn't take place between episodes three and four (bear in mind, if the long-rumored Kenobi solo film starring Ewan MacGregor does materialize, this particular objection of mine will fade quickly). The Gamesmaster is tasked by a mysterious figure with acquiring the DNA mapping of Moira's son, Proteus. On Muir Island, Moira tests Excalibur in the Proteus Room, a virtual reality version of the Danger Room. Elsewhere, Gamesmaster charges Siena Blaze with acquiring the data from Moira and promising Siena points in the Upstarts competition for killing her. On Muir Island, Excalibur settles in to their new cottage home when they receive word of a fire on a nearby oil rig. Working together, they manage to rescue the workers and put out the fire. Meanwhile, scientist Rory Campbell hires a ferry to take him to Muir Island. Back on the island, Sienna Blaze, who set fire to the oil rig as a distraction, attacks Moira. With Phoenix sensing the danger, Nightcrawler & Shadowcat attempt to teleport to her side, but Sienna senses Nightcrawler's disruption of the EM field, and shifts his location slightly so that they materialize inside solid rock. "A Song of Mourning A Cry of Joy"
In LA, the powers of a mutant woman named Thenody flair out of control, killing a pair of police officers. At a nearby hospital, Rogue, Beast & Iceman check on Infectia, who is dying of the Legacy Virus. They meet Dr. Nathan Milbury, who takes a blood sample from Infectia, then mysterious disappears. At the X-Mansion, Revanche & Psylocke spar. In LA, the X-Men track down the lab of Gordon Lefferts, the doctor Infectia came to LA to see. Inside the lab is Threnody, whom Mr. Sinister approaches and offers a role helping him find a cure for the Legacy Virus. Rogue attacks Sinister, telling him she won't let him use another mutant for his twisted goals. 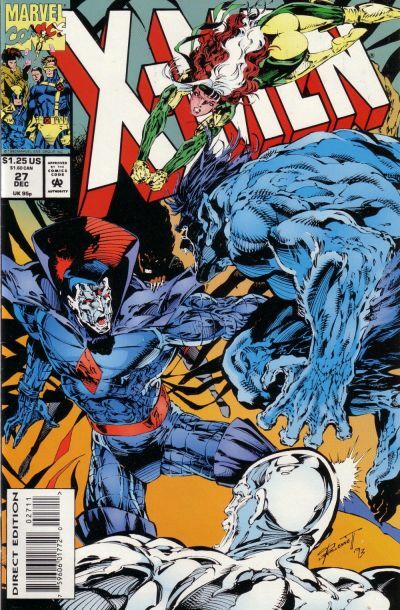 But Threnody's power - which is triggered when she's around people suffering from the Legacy virus - activates again, and Beast overrules Rogue, declaring that Sinister- a scientist with no morals - has a better chance of helping her than the X-Men. Later, Beast returns to the hospital, and carries Infectia out onto a ledge, allowing her to see one final sunrise before she dies. "Fathers and Sons Act One: Sunset Breaks"
Tolliver is revealed as Tyler, Askani returns, and Cable meets Mr. Sinister. Zero confronts Tolliver, learning he his actually Tyler, Cable's son. 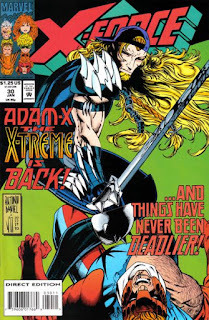 Eager to get revenge on his father for sacrificing him to Stryfe, Tyler reveals he has made a deal with someone to further that goal. 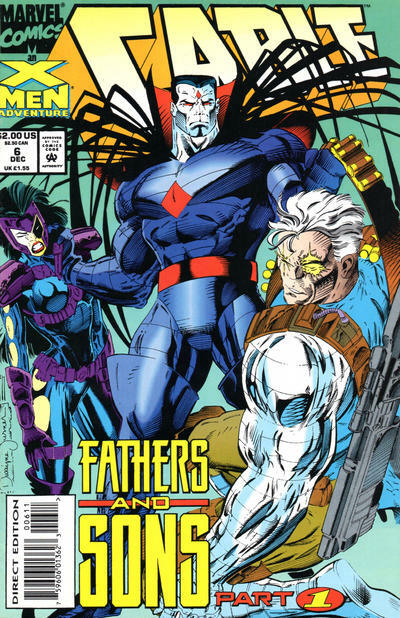 Meanwhile, Cable meets Domino at the grave site of his mother, and he asks her to help him find Tolliver. 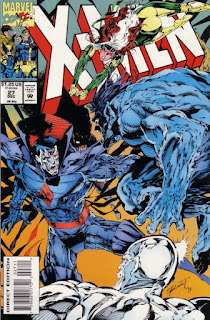 Just then, the pair are confronted by Mr. Sinister. Outside the X-Mansion, a member of the Askani arrives in the present, looking to protect Cyclops & Jean Grey. Back at the graveyard, Cable & Domino attack Mr. Sinister, who drops some cryptic remarks before blasting Cable and teleporting away. As Domino asks Cable what Sinister did to him, Cable blasts her in turn, announcing that Sinister has set him free. Outside the X-Mansion, the Askani is captured by Tyler & Zero, while inside, Jean is startled by sudden psychic emanations. 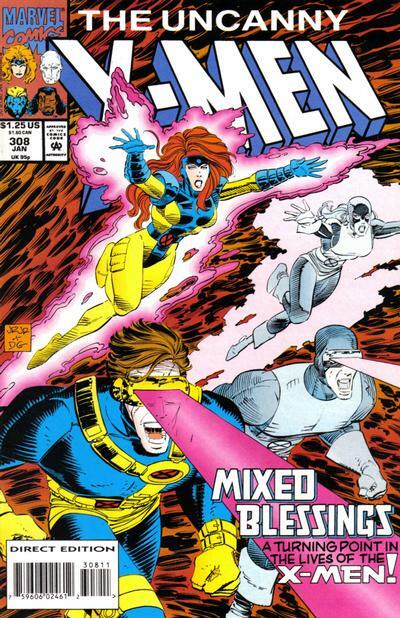 Sensing her fear, Cyclops rushes to her side, and she announces that somehow Stryfe is back, and determined to see them both dead.